Discover fabulous art treasures at Tlaquepaque Arts and Crafts Village among its exceptional galleries. Tlaquepaque abounds with spectacular, one-of-a kind art expressions in every medium and stylistic genre, From classic Southwestern fine art to contemporary, abstract, Native American and even spiritually contemplative works, there is something for everyone. You’ll also find leather goods, handcrafted jewelry and more as part of the Tlaquepaque shopping experience. Tlaquepaque is also a gathering place, alive with traditional fiestas and festivals as experienced in times gone by and in Mexico today. Be sure to check out the full events calendar to get a preview of the festivities; all family-friendly and perfect for weekend getaways. ​For more information about Tlaquepaque Arts & Crafts Village including a complete calendar of events, visit their website at: www.tlaq.com. At Mountain Trails Gallery, expect to view the stunning work of award-winning artists that truly exemplify the visual southwest. Whether you are seeking: western paintings, work featuring western artifacts, still-life, wildlife bronze or landscapes, Mountain Trails Gallery offers it all. The Renee Taylor Gallery is located within the ever-popular Tlaquepaque Arts and Crafts Village in Sedona, AZ. Known for their sculptures, jewelry and the artwork of over a dozen artists, you will feel right at home visiting this inviting space. If you’re looking for a one-of-a-kind gift for that special someone, experience the award-winning William Henry knife collection, where limited-edition works can be purchased right in the gallery. If you experience time-restraints with all that Sedona has to offer, you can also view all of the Renee Taylor Gallery pieces online – and make a purchase that can be sent directly to your home or office. “Art is something that makes you breathe with a different kind of happiness”. –Anne A. The Rowe Fine Art Gallery was opened in March of 2010 and re-located to the iconic Bell Tower of Tlaquepaque Arts and Crafts Village in 2011. Full of unique art such as: scratchboards, graphite art, wildlife sculptures and shadowboxes, most are amazed by the variant and non-overlapping collections. Award-winning sculptor and Co-Owner of the gallery, Ken Rowe, can often be found sculpting within the space. 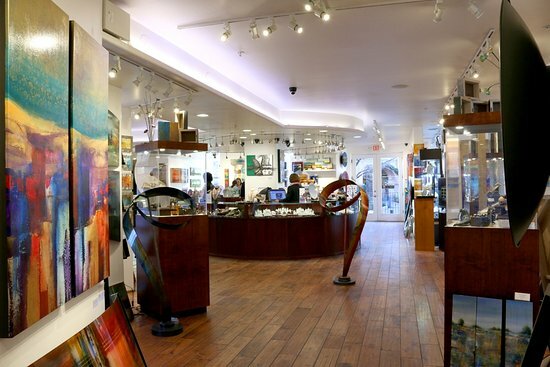 With over a dozen artists represented, the charm of the gallery and the uniqueness of the contemporary and traditional art will keep you coming back with every visit to Sedona. At The Ascending Spirit Gallery: A Honshin Fine Art Gallery, Honshin himself, expresses his experiences with Buddhism, Christianity and Zen Buddhism through his work. Expect to be inspired through pieces of art that include: healing symbols, science, spirituality and Mesoamerican influences. Artist, Honshin, lives in Sedona, Arizona with his wife Krystal Kirsten, and he can often be found working within the gallery. Climb the beautiful stairs to a magical oasis of color and beauty, focused on the interconnectedness of all people and cultures. Dive deep into a world of beautiful stonework jewelry, raven imagery and more, at The Gallery of Wholeness, Harmony and Radiance: A Honshin Fine Art Gallery. Be prepared to enjoy art inspired by traditions, diverse cultures and wildlife. From owls, to cats, to ravens – from Buddhism to Christianity and Spirituality, this gallery exhilarates all who enter. If you are seeking jewelry crafted from rare opals, stones, bead strands and more – this is the gallery to experience. Find the perfect functional art for yourself, or a loved one. Vue Gallery is located along Oak Creek, within Tlaquepaque. Prior to walking into the gallery proper, you will step through a beautiful exhibit of wind sculptures in the exterior courtyard. Once inside, expect to be memorized by stunning bronze sculptures, and colorful paintings adorning the walls. Enjoy the tall windows with bright light entering through to the twenty-foot tall ceilings. Vue Gallery represents an array of contemporary artists, expressing themselves through southwest colors, mixed-media, abstract and more.